2. In 2013, it spent $110.5 million on research and development, roughly 6 percent of sales. 3. On November 2, 2015, it was announced that King would be acquired by Activision Blizzard for $5.9 billion and this deal would be complete by Q2 2016. 4. By the first quarter of 2012, King had 30 million unique users. 5. Users jumped to 408 million by the end of 2013. 6. Sales increased from a little over $62 million in 2011 to $1.88 billion in 2013. 7. Sales in 2014 for King were over $2.6 billion, with Candy Crush generating nearly half of that amount. 8. In Q4 2014, King had 356 million monthly unique users, with 8.3 million of them spending money. 9. While 97.7% of people are playing King’s games for free, the 2.3% that pay are spending an average of $23.42 a month within the games. 10. Bubble Witch Saga was King’s first mobile game, released in July 2012 after its launch on Facebook in September 2011. 11. King’s most popular game is Candy Crush Saga, which was launched on King’s website in March 2011. 12. It was launched on Facebook in April 2012 and quickly gained popularity. 13. 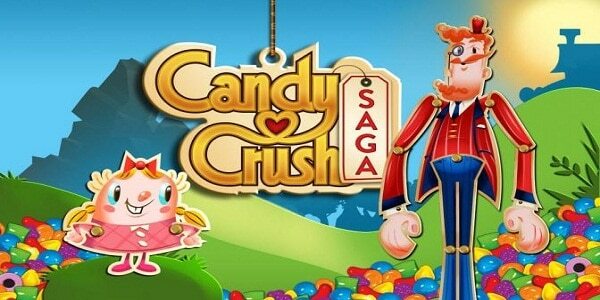 Following its success on Facebook, King launched Candy Crush Saga on mobile (iOS and Android) in November 2012. 14. The game was downloaded over 10 million times in its first month. 15. In January 2013, it became the number one most played game on Facebook. 16. It had over 45 million monthly users in March 2013. 17. By January 2014, it had over 150 million monthly users.